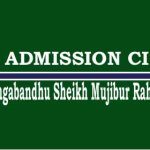 Sylhet Agricultural University SAU has already declared their admission Circular 2018-19. The Circular has published on their official website sau.ac.bd. 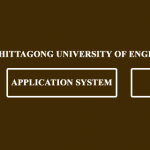 It is one of the international universities on agricultural perspective in Bangladesh. If you are interested in Sylhet Agricultural University SAU, You can follow this post of Admission Circular. Applicants can pay the fee through Super Cash or Rocket Mobile Banking. Total of 800 BDT will have to pay as Admission Fee. After completed the process successfully, A Success full message will receive with Transaction ID no. Candidates have to face written examination to get admit himself. Written test will be taken on Physics, Chemistry, Math, Botany, and Zoology. The total marks of the Exam are 100. Still, Need More information about Sylhet Agricultural University SAU admission circular 2018-19 ? ?